Welcome to SwimTime and congratulations on your decision to get your child more confident in the water. We thank you for choosing SwimTime, and hope that your experience with us is a good one, and that swimming becomes your families favorite time together each week. certificate and four achievement stickers. This letter is intended to assist you in understanding our program and in outlining the expectations we have on you, and your children to achieve success in the water. program, and achievement criteria relate to the key skills that all children must learn in order to be safer, in, on, under and around the water. Our aim is to have children completing the program the year they start school. (Those joining us late! welcome and we hope to achieve these skills quickly). learning. SwimTime also believes that for a child to be safe around water parents need to be 100% aware in their child’s current ability, for this reason you can expect to be involved in the process before, during and after the lessons. All children under the age of five require a parent in the water with them for their SwimTime session. deep water, turn around without any assistance and return to the side. the assistance of their parents or instructor. kick with their head up (with the assistance of a kick board), multiple repetitions of ten metres. clearly the above four goals. Your child is now a FUTURE CHAMPION. to the best of their ability in the shortest possible time. High repetition of our recognised key skills to progression, sees your child introduced to new skills at the appropriate times in their own individual personal development. SwimTime has recognised 5 or 6 key skills that all children must learn to move effectively through the water, and programs lessons around these skills to suit each child’s personal ability level. CHAMPIONS certificate. 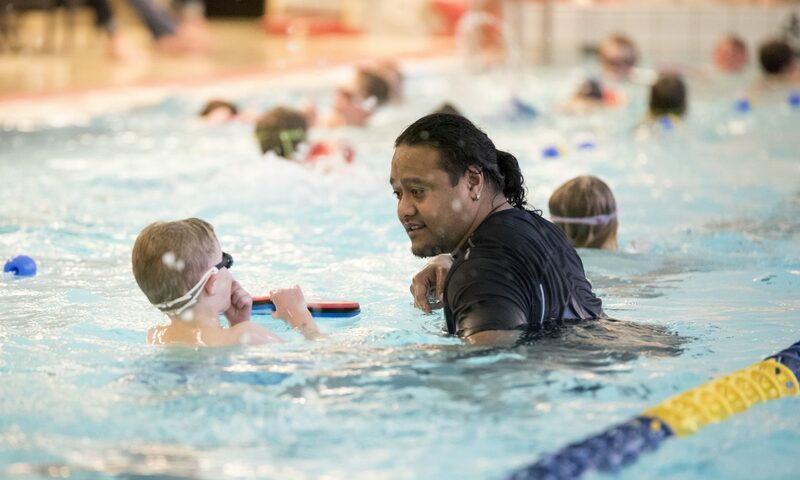 The completion of the SwimTime program is aligned with the requirement of the Swedish School system, where children must have the ability to swim 200 metres, of which at least 50m on the back. motivation to go on to become the best that they can be. coming through, and the longer they participate the more their skills are strengthened for life. becomes an activity that you enjoy together as a family. Please contact us should you have any questions, we cant wait to see you at the pool. providers to recommend you to. Again we hope that you enjoy your time with us at the pool and that swimming becomes an activity that you enjoy together as a family. Please contact us should you have any questions, we cant wait to see you at the pool.